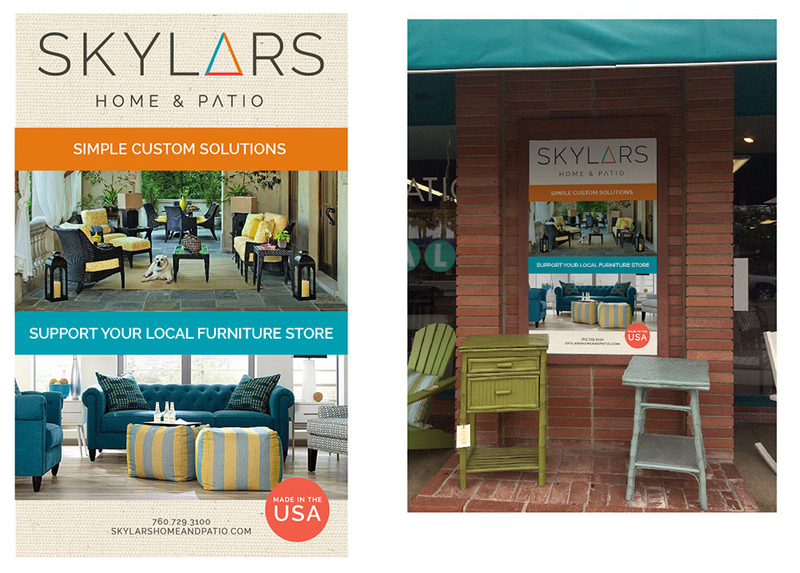 Skylar’s Home and Patio sells very eclectic and customizable home furniture and decor items. 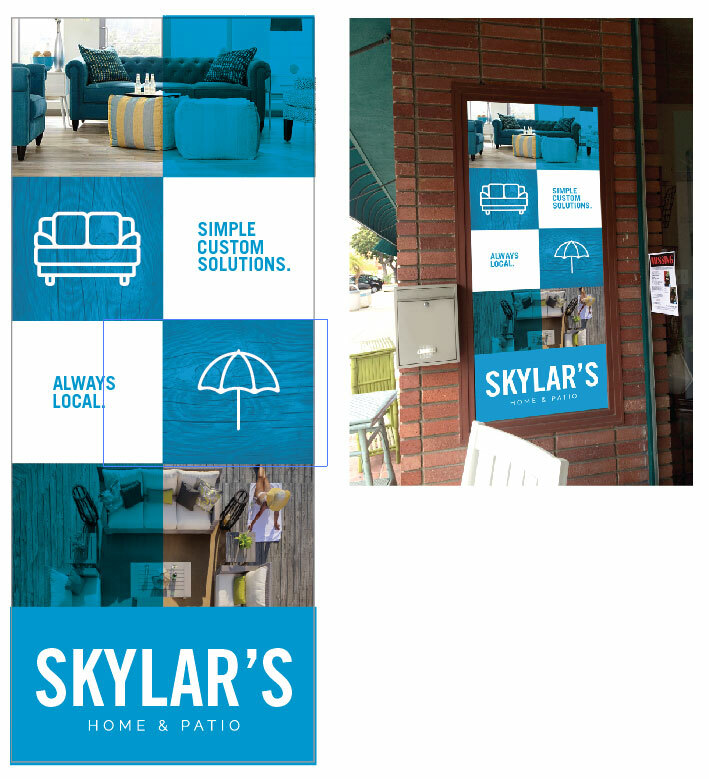 The owner, Skylar, started his own business after working for a variety of furniture stores. He realized right away that he knew he could do it better. He established 2 key differences in his company: better customer service and more customizable options. 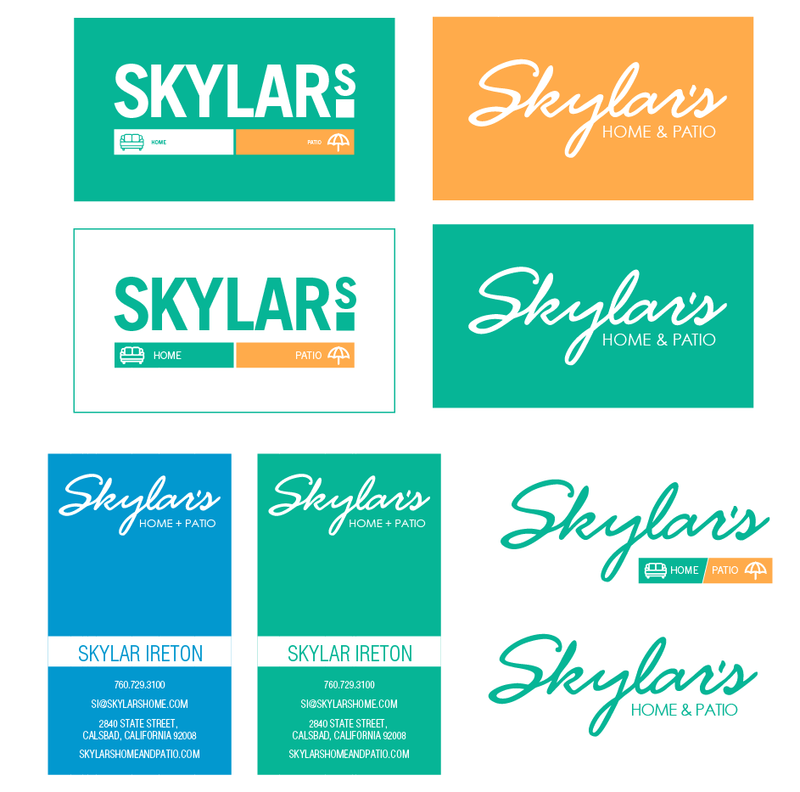 As with most entrepreneurs who are just running to get started and watching expenses, he created his own logo and brand look over the years. It definitely worked for him, and without his perseverance, he wouldn’t be where he is today. When he came to us, he knew he wanted a new, energized, and contemporary brand that aligned with the future of his growing company. 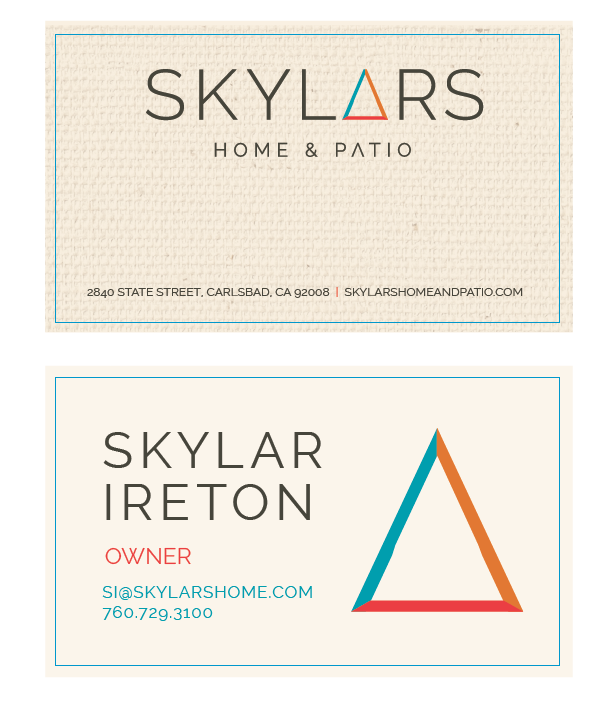 With the success of his first store, and the opening of his second, it was time for a rebrand! 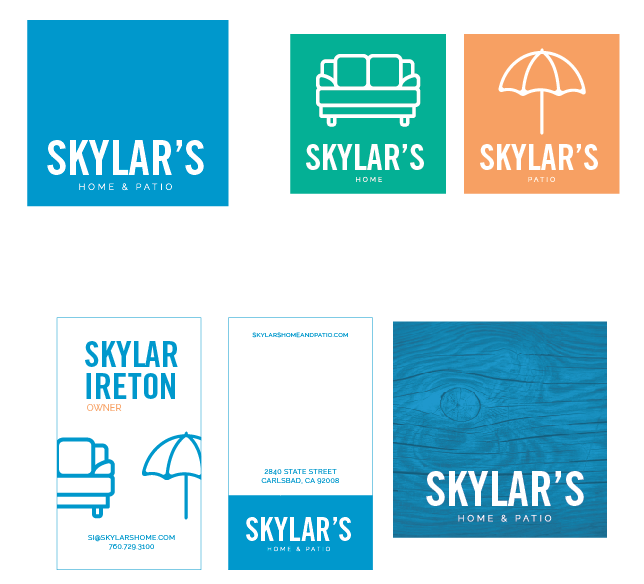 He didn’t exactly know how to tackle this new venture, so that's where we come in.Take a sneak peek at some of our development and we'll unleash the new brand soon!